It's 2019. Who Still Listens to Mandopop? Back in 2016, local band 53A dropped that year’s National Day song, Tomorrow’s Here Today, which was written by local composer Don Richmond. 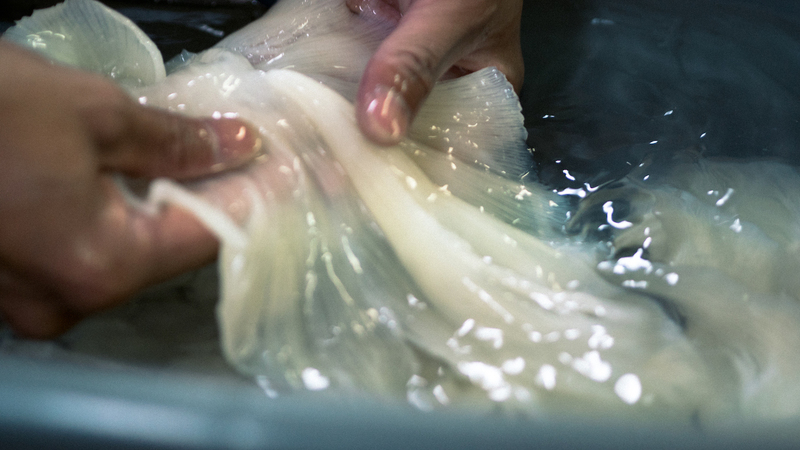 While many Singaporeans liked it, many others added that they found it wanting in its ability to connect with the older generation. Shortly after, another song went viral. Originally sung in Chinese, 《有空记得约我》 was the theme song of Royston Tan’s telemovie 《杂货店》,The Provision Shop. The Chinese version, by the duo The Freshman, or 插班生, was so popular that people called for an English version to be the unofficial NDP song. To which they obliged, with a rendition titled Call Me (Not Maybe), this time chock full with Singlish and hawker food references. So, I liked that song. But more generally, I like Mandopop. And well, of course it is. A staple of predominantly Chinese-speaking communities, it’s remained popular mostly in China, Taiwan, Hong Kong, Malaysia, and Singapore. According to a National Music Consumption Survey conducted in 2017, 61% of Singaporeans listen to Chinese music. And while the survey does not break down music listening habits by race, presumably most of those who listen to Chinese music are Chinese, who make up 75% of Singapore’s population. This means that about four out of five Chinese Singaporeans listen to Mandopop. But who are these listeners? Going by the target audiences for the various Chinese radio stations in Singapore, quite a wide range of people. In the latest AC Nielsen survey in November 2018, Mediacorp’s YES 933 was the top-rated Chinese radio station in Singapore, with a 18.5% weekly listenership. According to its marketing information, this station spins the latest hits, with its target audience in the 15-34 age group. Of those in the “youth” category, 71% are single, while 35% have university/post-graduate degrees and 22% have polytechnic diplomas. Another Chinese station with growing listenership is SPH’s UFM 100.3, targeted at working professionals aged 35-49, and featuring songs from the 2000s onwards. Then there are other stations targeted at older listeners aged 55 and above. At the same time, one does not talk about Mandopop without first mentioning Xinyao, or the genre of uniquely Singaporean Mandopop that started back in the 70s and 80s as a movement mostly among local students. This Xinyao movement was in turn inspired by the “school campus folk songs” (校园民谣) movement in Taiwan. The common thread in both places was the effort to create songs with local identity; that truly belonged to the people. In Singapore, pioneers of Xinyao included the master himself, Liang Wenfu, as well as names such as Eric Moo, Jiang Hu, Pan Ying, and Dawn Gan. Those who grew up with these early singers would recall that they started by holding intimate campus concerts, and taking part in small, local Talentime competitions (precursors to the big-budget spectacles we see today). No frills, no social media, no backing band. Just a singer and a guitar (or maybe a few of each), on a simple stage in an open space on campus, where the audience was close to the action. So, it is quite safe to say that at least for that generation of young Singaporeans, Xinyao was their first entry into the world of Mandopop. This initial push for a Singaporean voice in Mandopop saw the beginning of an evolution towards “true” pop singers as we know them today—Singaporeans such as Kit Chan, Tanya Chua, Stefanie Sun, and JJ Lin have all made their mark in both overseas and local markets. Today, it seems that the Mandopop tradition of connecting with the audience has carried through. As two friends of mine observed, some Mandopop listeners feel like their idols speak to them as individuals even when addressing an audience, say, at a concert. They remember their more “prominent” fans, remind people to hydrate, and even ask why their fans are skipping school or work to attend their events. One of these friends adds that Mandopop artists (especially the Taiwanese) often branch out into various aspects of the entertainment industry, so people get to see different sides of them, such as their more natural selves on variety shows and the cool/romantic side of them when acting on TV shows and/or in movies. In recent years, a number of singing competitions, especially in China, have attracted singers of all styles and genres. Sing! 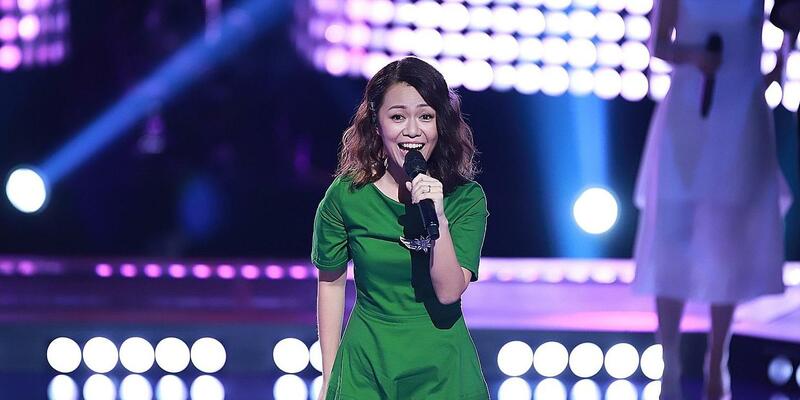 China and Singer are just two of the bigger competitions featuring newcomers and established singers, often delivering fresh renditions of classic Mandopop songs, usually uploaded to social media soon after the latest episodes air. And Singaporean singers have done well at these competitions. Most notably, Nathan Hartono came second in The Voice of China in 2016, while jazz singer Joanna Dong came third in Sing! China (the new name of The Voice of China) in 2017. Back in December 2018, I found myself at a “singalong” session at the Esplanade featuring the DJs from 96.3 Hao FM (a radio station that plays Mandopop from the 1980s and 1990s). During one of the interaction segments, a non-Chinese audience member sang the first few lines of《月亮代表我的心》(The Moon Represents My Heart), a classic by the late great Teresa Teng. To me, it showed that the appeal of Mandopop is indeed growing, and it is reaching more than just Chinese speakers. This brings me to another point: Singapore’s Mandopop artists are demonstrably more well-known internationally than our English-language musicians. One obvious reason is the much larger global English-language music market as compared to the global Mandopop market. It is that much harder to stand out when there are so many more people doing what you do. 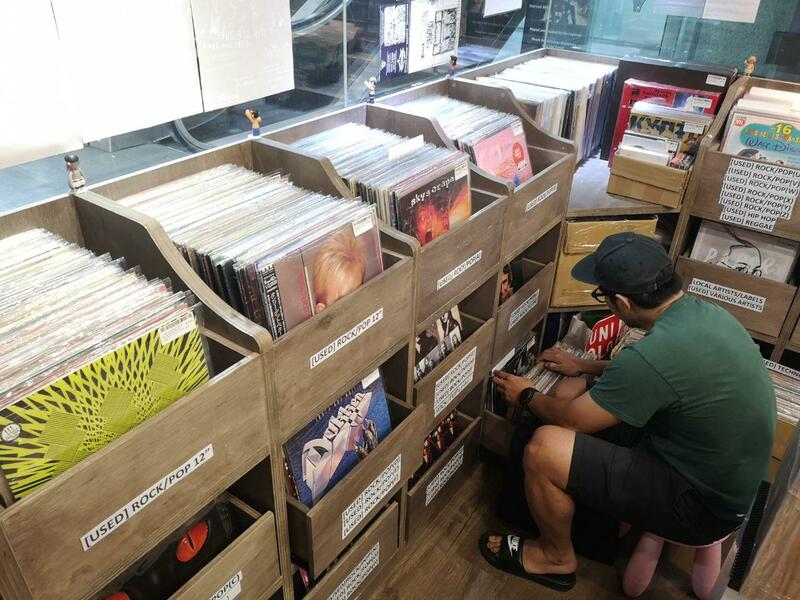 As an illustration, the National Music Consumption Survey of 2017 found that only about 40% of listeners can distinguish Singapore music from international music. Presumably, this includes music of all languages, but still, it shows that Singapore music has some way to go before it is readily identifiable. You may not agree, but I’ll make my case. Short, fuss-free, but full of poignant imagery. The lyrics describe a moody scene of (presumably) a study in olden China, with the scent of burning sandalwood, and someone painting a peony on a porcelain vase while thinking of their lover, complete with a half-done painting on paper. Incidentally, these lyrics also illustrate a unique element of Mandopop: the idea of 凄美, or “tragic beauty”. The closest equivalent to in English would be “melancholy”, or finding a certain beauty in sadness. These elements tend not to be found in today’s average English pop song. For a bilingual (and jiak kentang/ang moh pai/Westernised) person like me, Mandopop keeps me in touch with the language—believe me, I would not have survived Chinese lessons in school without Mandopop. And what better way is there to open the door to Chinese culture than to listen to Chinese songs? I learned vocabulary like 魑魅魍魉 (pronounced “chi mei wang liang”, meaning ghosts and phantoms) from the song《入阵曲》(Fight Song) by Taiwanese band Mayday, while Jay Chou reminded me to《听妈妈的话》(Listen to Mama). But if you want an entire Chinese history lesson in one song, look no further than《历史考试前夕》(The Eve Of The History Exam) by Singapore’s Liang Wern Fook, better known as Liang Wenfu. The song is a drily humorous lament about how much there is to study for a Chinese history exam; with a litany of names and events from ancient history (Emperor Qin Shihuang burning books, Qu Yuan throwing himself into the Miluo River, Liu Bei recruiting Zhuge Liang, Lin Zexu destroying opium) to modern and pop culture of the time (Fung Bo Bo, Jin Yong, Sun Yat Sen) thrown in. In a way, you might say that Mandopop keeps me rooted to Singapore, in a different way than local English songs do. After all, English is a “borrowed” language, while Chinese is the language of my ethnicity as a Singaporean Chinese. It seems I am not alone in wanting to keep in touch with my Chinese culture. In his 2015 Mandarin National Day Rally speech, Prime Minister Lee Hsien Loong acknowledged the efforts of the Chinese community in sparking interest in Chinese language and culture among young people, which he felt was encouraging. Incidentally, JJ Lin, Jay Chou, and Stefanie Sun are among the biggest names in Mandopop at the moment, which suggests that Mandopop listeners do appreciate Chinese songs with substance and style. A quick Google search turns up several articles in English and Chinese revealing (and lamenting) a general trend of slipping Mother Tongue standards and an increasing use of English at home. Lianne Chia of CNA described going back to school to learn Chinese for just three days, while ST’s Tee Hun Ching wrote about the difficulties of getting children to speak Chinese. Clearly, there is also a growing trend of Singaporeans who are only fluent in English. 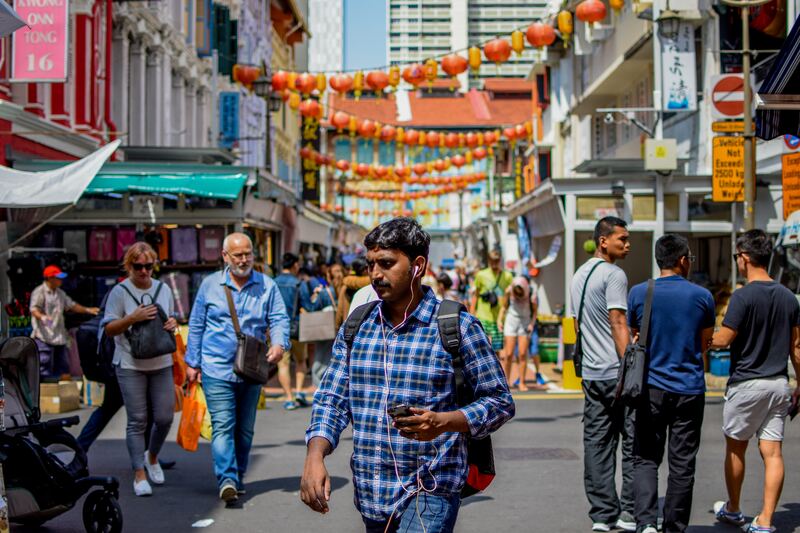 Of course, this is accompanied by concern about cultural erosion and the influence of Western culture, as well as calls not to let Singapore become a monolingual society (the topic does surface from time to time in the local Chinese-language newspapers). So even as some Singaporean Chinese are “giving up” on the language, there are still efforts such as the Speak Mandarin Campaign to keep the Chinese language alive in Singapore. But, for now at least, it seems that there is little danger of the Chinese language disappearing from Singapore anytime soon. And where there is the Chinese language, there is Mandopop. So, to those of you who have never listened to Mandopop: give it a chance. It might surprise you. Have something to say about this story? Dying to tell us all about your favourite music? Write to us at community@ricemedia.co.